Introducing a luxury range of hand and body soaps, newly developed by the makers of Teepol. 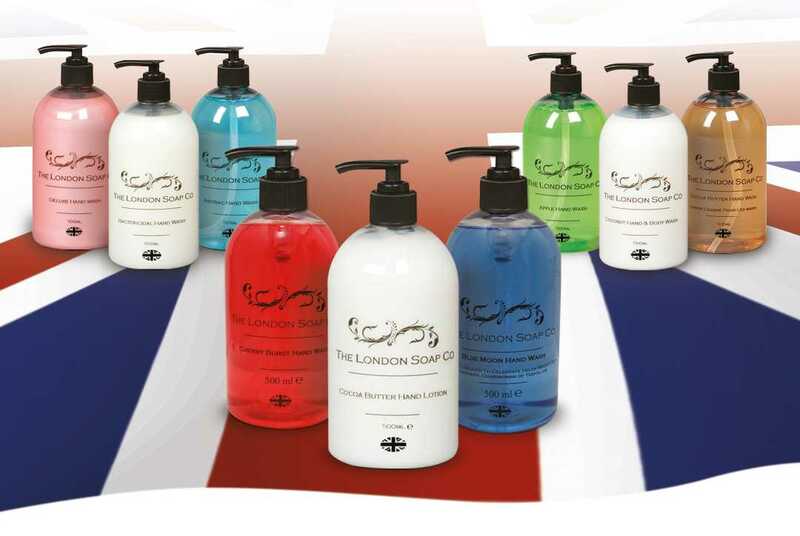 Indulge your hands and senses with the luxurious range of hand washes from The London Soap Co. Specially formulated soaps with natural ingredients such as apple, coconut and cocoa butter gently moisturise the skin, leaving hands soft and supple. And our exotically fragranced hand lotions are easily absorbed and replenish natural oils, leaving hands hydrated and protected. 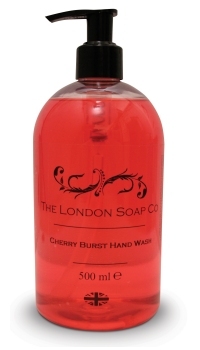 As well as luxurious and indulgent hand and body washes, the London Soap range also includes anti-bacterial and bactericidal hand soaps effective against 99.9% of germs including Salmonella, MRSA and E. coli. The London Soap Co's Bactericidal Hand Wash is a certificated bactericidal hand washing cream for high standards of personal hygiene. This unperfumed and non-tainting hand wash is ideal to use in food preparation areas or wherever germs and bugs need to be kept under control. Kills 99.9% of germs including MRSA, E. coli and Salmonella. Contains emollients to leave hands smooth and conditioned. The London Soap Co's Anti-bacterial Hand Wash is a kind but powerful sanitizer that kills bacteria in seconds. 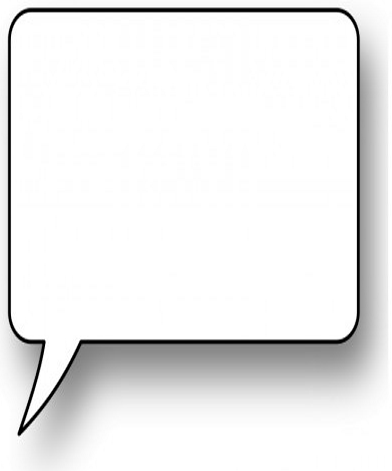 Lightly perfumed, it is specially formulated for use in high risk areas (eg. hospital wards). It is effective against MRSA and kills 99.9% of germs, whilst the added emollients leave hands smooth and conditioned. 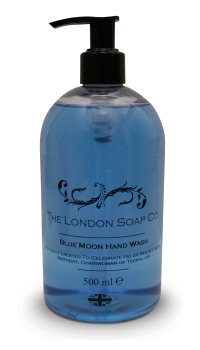 The London Soap Co's Blue Moon hand wash is an invigorating wash that cleans and refreshes. A unisex fragrance that is suitable for all washrooms and bathrooms. Specially created in 2011 to celebrate Helen Moon's 90th birthday, Teepol UK's chairwoman. The London Soap Co's Milk and Honey Anti-bacterial Hand Wash is a kind but powerful sanitizer that kills bacteria in seconds. A fragrant hand wash that leaves hands soft and clean. Revitalise tired hands with The London Soap Co's Summer Peach Hand Wash. This fresh and invigorating hand wash is pleasantly fragranced with a burst of apple to effectively clean hands whilst leaving them soft and hydrated. 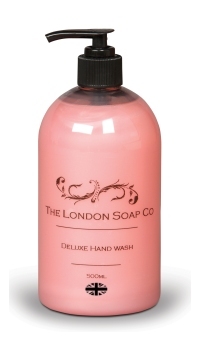 The London Soap Company's Deluxe Gift Pack of luxury hand wash is a perfect gift for that special occasion. Our fragrant Hand Wash & Hand Lotion range will leave your hands feeling soft and clean.